But do you know that even though Canada doesn’t have an official poverty line, they have other very comprehensive measures of poverty? 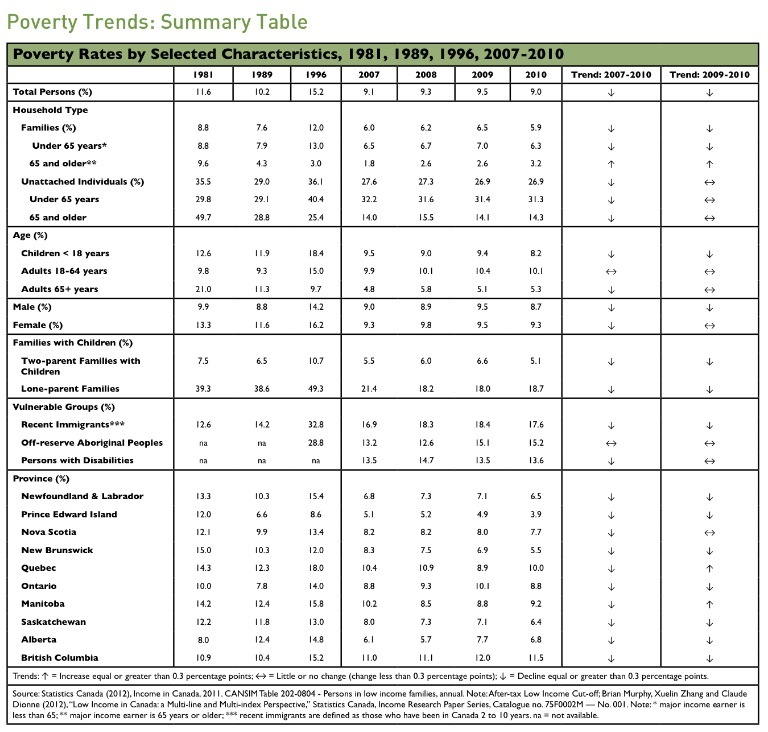 Take a look, for example, at the Poverty Trends Scorecard, where the poverty trends mapped in various ways (Chart 1). But such statistics are not apparent in Singapore. And the government has been resistent towards approaching the issue of poverty. But if we compare Singapore to the other high-income developed countries (Chart 2), we can see that the public assistance of US$1.79 provided to an individual per-day is actually much lower than what is defined as poverty in most other high-income developed countries, such as in Switzerland (US$10.25), Australia (US$8.02), Germany (US$6.61), United States (US$4.91), Japan ($4.83), South Korea (US$2.15). Even when compared to Hong Kong, the poverty line of US$5.77 is significantly higher than the US$1.79 that the Singapore government is willing to provide for the poor. Also, note that Singapore has one of the highest prices in the world (Chart 3). And the lowest wages among the developed countries (Chart 4). And if so, it wouldn’t take a rocket scientist to understand that the public assistance of US$1.79 per person per-day is meager and barely enough for basic sustenance. Can you survive on US$1.79, or S$2.22 only every day? What Singapore is giving out to our low-income Singaporeans on public assistance is actually similar to the what is at the poverty line of other developing countries, such as Thailand’s US$1.71, but where the cost of living is much lower. What this means is that what the poor in Singapore is given is good enough for them, but if they are living in a developing country, where prices are much lower. If so, would this be enough for them in Singapore? Two issues thus arise here. First, is the government underestimating the proportion of Singaporeans living in poverty in Singapore? And second, for the Singaporeans who are receiving financial assistance, are they receiving inadequate assistance? And it would seem that the answer to both questions is an unequivocal, yes. If we look at the society closest to Singapore – Hong Kong – just last month, they had “acknowledged for the first time that it has a sizeable poverty problem by declaring that 1.31 million of its citizens are officially poor.” The “poverty line for 2012 (was determined) to be 50% of median monthly household income before tax and welfare transfers“, which would meant that 19.6% of the Hong Kong population were living below the poverty line. So, even the Hong Kong government has acknowledge that the problem of poverty exists, and “has (thus) been determined to set the poverty line”, so that they “can help to improve (the) poverty (situation)”. How then does Singapore compare? What could our poverty line be, and with the paltry financial assistance given by the government at S$2.22 per day, how much does it bring the plausible poverty rate down by? What Is The Poverty Line In Singapore? Chan Chun Sing had said in 2011 that the “help schemes typically cover the bottom 20th percentile of household”. So, is 20% the unofficial poverty line perceived by the government? If so, is this 20% reflective of the actual rate of poverty in Singapore? 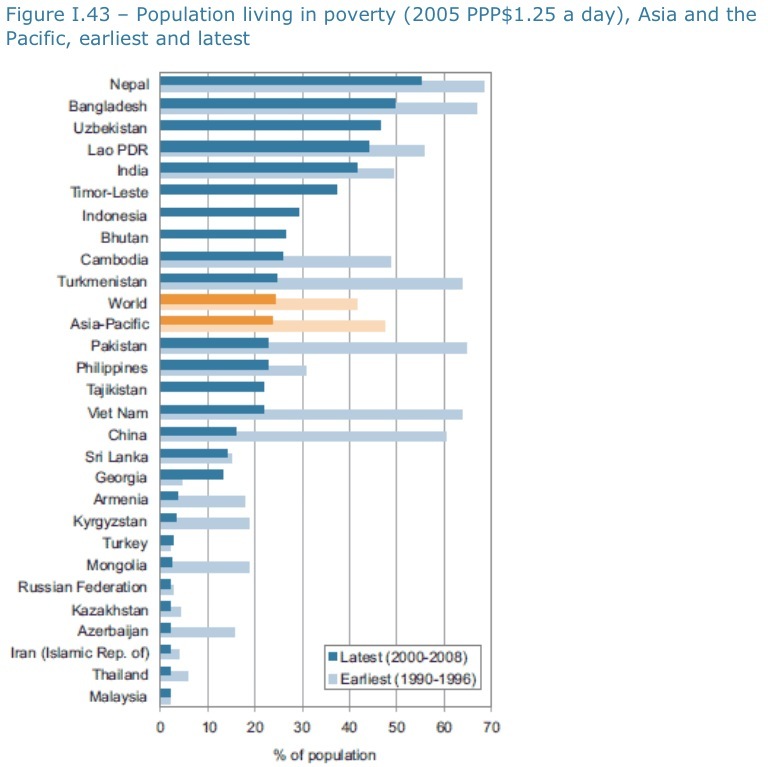 She had also estimated that in 2007/08, “under the most conservative unofficial poverty line of S$1,500”, there would be a “full bottom fifth of households manage on substantially less than the social inclusion level of income.” This would mean that Singapore’s poverty line would be at 25%, significantly higher than Hong Kong. But that was in 2011. What about closer to the present? Last month, the National University of Singapore’s (NUS) Social Work Department had released “a new study has shown that the working poor in Singapore are not getting enough pay to make ends meet“. The ““working poor” is defined as someone earning less than half of the average monthly income of a Singaporean, which now stands at S$3,000.” As such, the “working poor” would be someone who earns less than S$1,500 every month. According to the CPF Annual Report in 2011, where the distribution of the monthly wages of Singaporeans were last available, 458,257 Singaporeans were earning less than S$1,500 every month. This represents 26% of the Singaporean and PR population (Chart 5). Does this mean that our poverty line now stands at 26%? This echoes what Jacqueline Loh had previously determined as the poverty line. The poverty line in Singapore of around 26% is quite embarrassing, and frankly, shameful. If so, the poverty rate in Singapore is significantly higher than that of any of the other high-income countries. And if so, does that mean that the government’s “help schemes” to “cover the bottom 20th percentile of households” is vastly inadequate to protect the financial situation of Singaporeans, both in terms of the estimation of the problem and the magnitude of support? If you compare the poverty rate of 26% with other high-income developed countries, the disparity will be even more shocking (Chart 6). In fact, Singapore’s poverty rate of 26% is as bad other poor countries, and would be even comparable to Cambodia, and worse than Philippines and Pakistan, some of the poorest countries in the world (Chart 7)! And if you look at the total poverty rate of the high-income countries of 11%, Singapore’s 26% becomes completely out of proportion (Chart 8). We have a poverty rate that is more than 2 times higher than the average of the high-income countries! Chart 8: What Do National Poverty Lines Tell Us About Global Poverty? Not only that, do you know that the Singapore government spends the lowest public spending among the developed countries (Chart 9)? 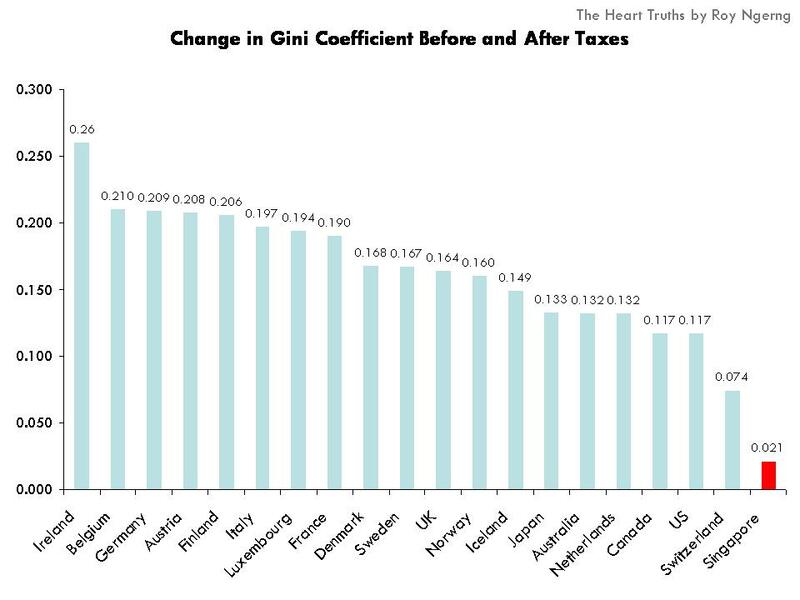 Which also means thus that the Singapore government transfers the least in taxes back to the people – reducing the income inequality (Gini coefficient) by only 0.021 – which means that any reduction in income inequality or poverty would be inconsequential, when compared to what all the countries are doing for their people (Chart 10). This would thus also mean that the poverty rate of 26% would be hardly reduced at all, even with tax transfers. Chan Chun Sing had also said that the government doesn’t believe in having a single poverty line because this will result in a situation “where those below the poverty line receive all forms of assistance, while other genuinely needy citizens outside the poverty line are excluded”. Is that so? If there is a poverty line, will it result in the other segments of Singaporeans – such as the middle-income classes – to be disadvantaged? Is that what he is implying? In 2002, the median income is S$2,083. This would mean that the poverty line of half the median income would be anyone who was earning below S$1,000. If so, do you know that in 2002, there was 16% of the population living in poverty then. 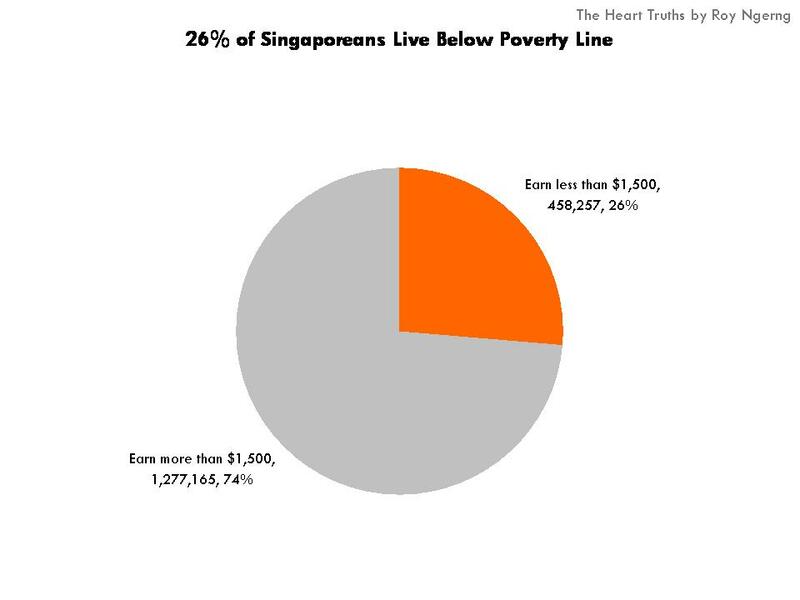 However, the proportion of Singaporeans living under poverty has actually increased from 16% in 2002 to 26% in 2011 – by 10 percentage points (Chart 11)! Chan Chun Sing had said that if we were to define a poverty line, this would result in “other genuinely needy citizens outside the poverty line (to be) excluded.” Let’s take a look to see if this makes any sense at all. Let’s assume that in 2011, the lower-middle income Singaporeans would earn between S$1,500 to S$3,000. The upper-middle income Singaporeans would earn between S$3,000 to S$5,000. And the high-income Singaporeans would earn more than S$5,000. This is somewhat in line with how the National University of Singapore Business School had defined as the middle-class and how Mr David Ang, then Executive Director of The Singapore Human Resources Institute had defined as the lower-middle class. Working backwards, since the poverty line in 2002 is S$500 lower than in 2011, this would mean the class categories would also be reduced by S$500 each. 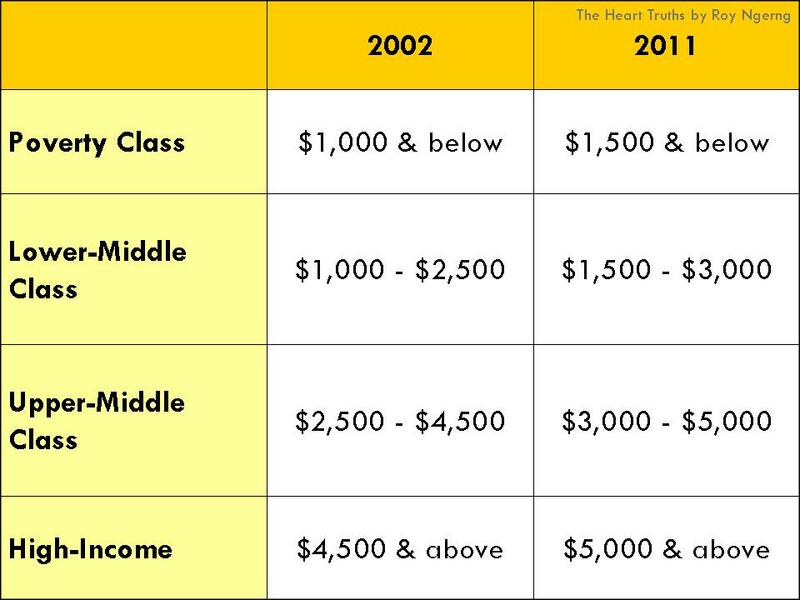 Thus in 2002, a lower-middle income Singaporean would earn between S$1,000 to S$2,500, a upper-middle income Singapore would earn between S$2,500 to S$4,500 and a high-income Singapore would earn more than S$4,500. So, what would this give us? As had been shown, the proportion of Singaporeans living in poverty has grown from 16% in 2002 to 26% in 2011. Chan Chun Sing had feared that “other genuinely needy citizens outside the poverty line (will be) excluded” from government assistance. Let’s take a look then – because the government had not set a poverty line, did more middle-income earners gain from such a policy, and not get “excluded”? 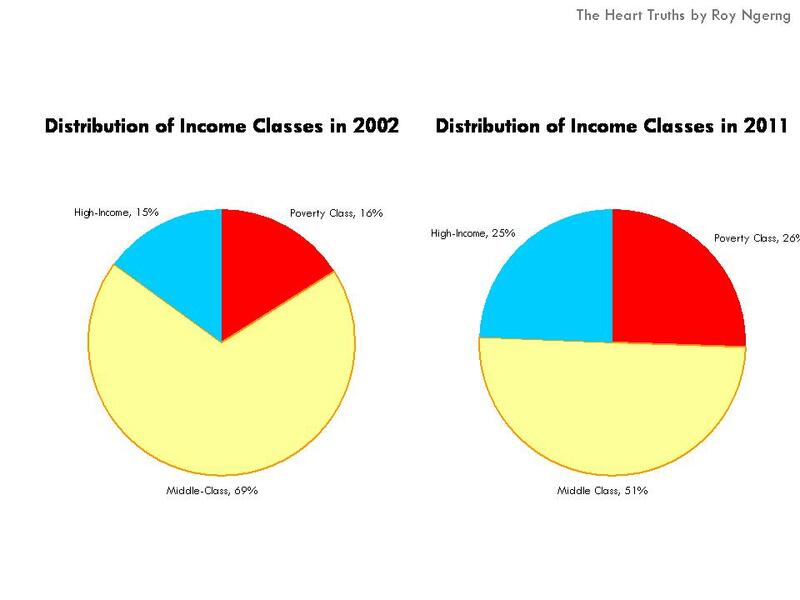 In 2002, there were 43% of Singaporeans who were in the lower-middle class. In 2011, the percentage fell by a shocking more than 10 percentage points to 29% (Chart 13)! From 2002 to 2011, the lower-middle class shrunk by more than 10 percentage points. Meanwhile, the Singaporeans who fell into poverty increased by 10 percentage points (Chart). If so, did the lack of a poverty line cause even more Singaporeans to be disadvantaged, instead of what Chan Chun Sing had claimed? What about higher up the classes? 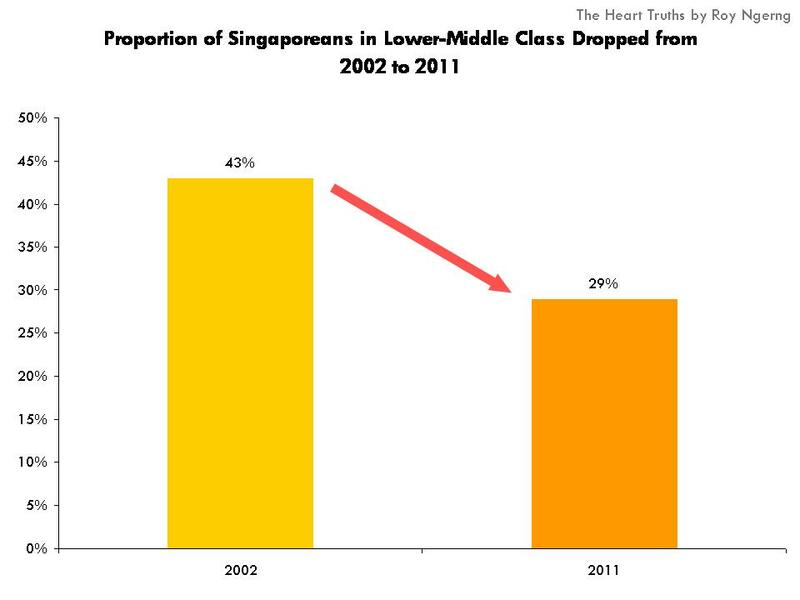 In 2002, the proportion of Singaporeans in the upper-middle income class shrunk from 26% in 2002 to 19% in 2011 (Chart 14). 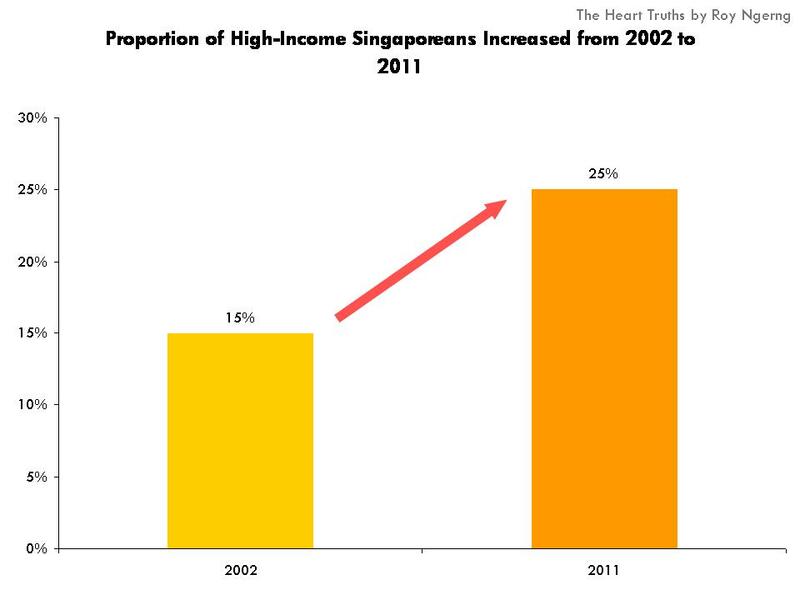 However, what is more glaring is that the proportion of high-income Singaporeans actually grew from 15% in 2002 to 25% in 2011 – by 10 percentage points (Chart 15). Chan Chun Sing had claimed that other “needy” citizens would be excluded if a poverty line is set. But on the contrary, what had happened was that because there is no poverty line, more Singaporeans have actually become excluded. 10% of Singaporeans went from being in the middle-income to living in poverty. Meanwhile, on the other end, the richest have also grown. When Chan Chun Sing had worried that a poverty line is set and other “needy” Singaporeans would be “excluded”, who was he really referring to? When we look at it as a whole, you can see immediately and very clearly that since 2002 until now, the proportion of poor has grown. The proportion of the wealthy had also ballooned. Meanwhile, the middle-class has shrunk dramatically (Chart 16). When Chan Chun Sing spoke about the “needy”, who exactly is he referring to, and what does he mean by “needy”, if it is to make any sense at all, in his context? Clearly, it is not that without a poverty line that “other genuinely needy citizens outside the poverty line” would thus be “excluded”. Rather, it is precisely because there is no poverty line in Singapore, that more and more Singaporeans are being excluded. As compared to 2002, more and more Singaporeans have now gone under the poverty line, while the middle-class has been shrinking. As such, shouldn’t a poverty line be set to prevent more and more Singaporeans from earning wages which are less than sufficient to allow them to have even a basic standard of living? 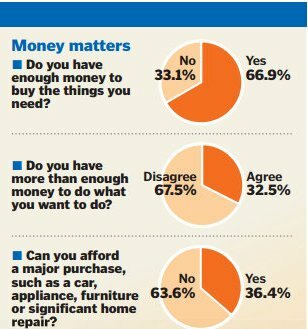 Indeed, it is no wonder that the middle-class “worry that they cannot afford much more beyond day-today necessities.” In fact, even though “over two-thirds of the 1,500 Singapore citizens surveyed felt they had enough money to buy the things they need”, but two-thirds of Singaporeans also “felt they would not be able to pay for that little extra in life.” Furthermore, “close to two-thirds also said that they would not be able to a big-ticket purchase like a car, appliance, furniture or major home repair” (Chart 17). And when we include both the low and middle income respondents, an even larger three-quarters (75%) of respondents said that they “would not be able to make major purchases”! Vijaya Murali and Femi Oyebode also said that, “It has been known for a long time that the lowest-income groups are more likely to suffer negative effects of ‘risky’ health behaviours than their less poor counterparts.” However, they add that, “These ‘maladaptive’ behaviours are not necessarily undertaken with a harmful intent, but may be regarded as coping behaviours to provide comfort or relief from stressful lives. Moreover, people in lower socio-economic classes by virtue of their life circumstances are exposed to more stressors, and with fewer resources to manage them and greater vulnerability to stressors, they are doubly victimised.” Thus people in the lower socio-economic classes might exhibit “maladpative behaviour” not because of an innate want to do so, but because the structural environment in Singapore, created by policies that have constrained their social mobility, that have resulted in their chronic inability to recover from poverty. Not only do families suffer, so do the children, as “children from low-income families often start school already behind their peers who come from more affluent families” because poverty “hampers their parents’ ability to help them” and “restricts people’s ability to be good parents”. Also, children living in “persistent” also face the situation of a “sheer lack of resources”. Indeed, this is what the Ministry of Education (MOE) had admitted themselves when they said that, “students whose parents are more successful are more likely to make it to university“. 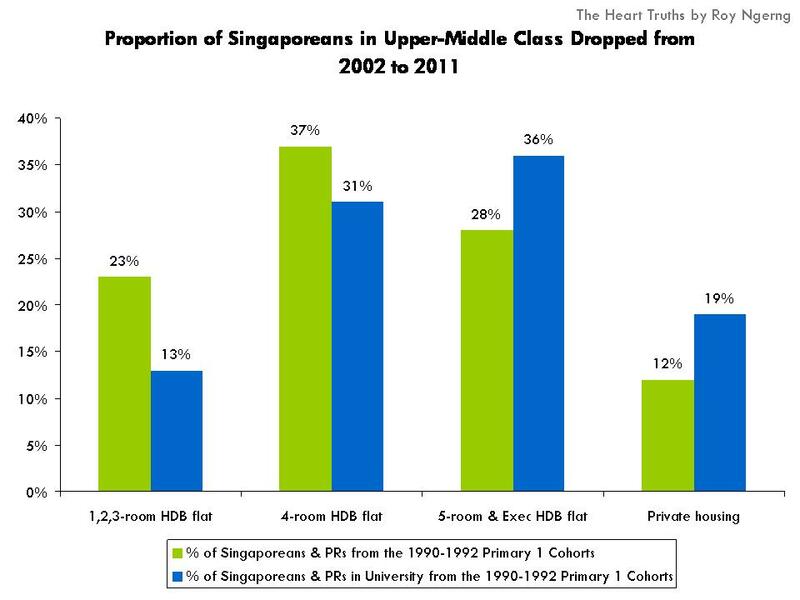 And when you look at the Singaporeans and PRs who had entered local universities, even though there were a higher proportion of Primary 1 students who had lived in 1, 2, 3- and 4-room flats, a higher proportion of students who could eventually enter the local universities came from 5-room and executive flats and private housing (Chart 18). The United Nations Development Programme (UNDP) had illustrated how with poverty, individuals can be trapped in a cycle of illbeing, where poverty would lead to bad social relations and poor physical health, and which will cause a person to feel insecure and powerless over his/her life (Chart 19). 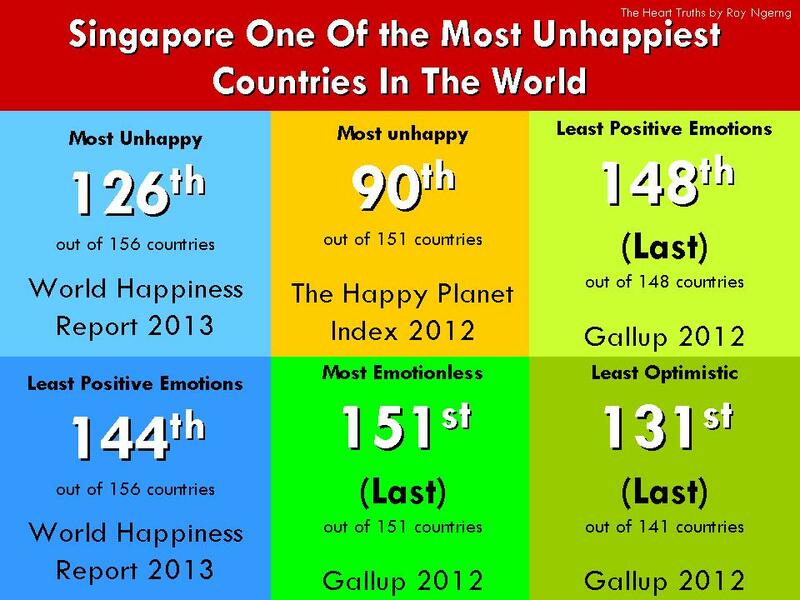 It is no wonder that Singaporeans are the most, or one of the most unhappy people in the world, isn’t it – because we have the highest poverty rate and income inequality among the developed countries, and also one of the highest in the world (Chart 20). 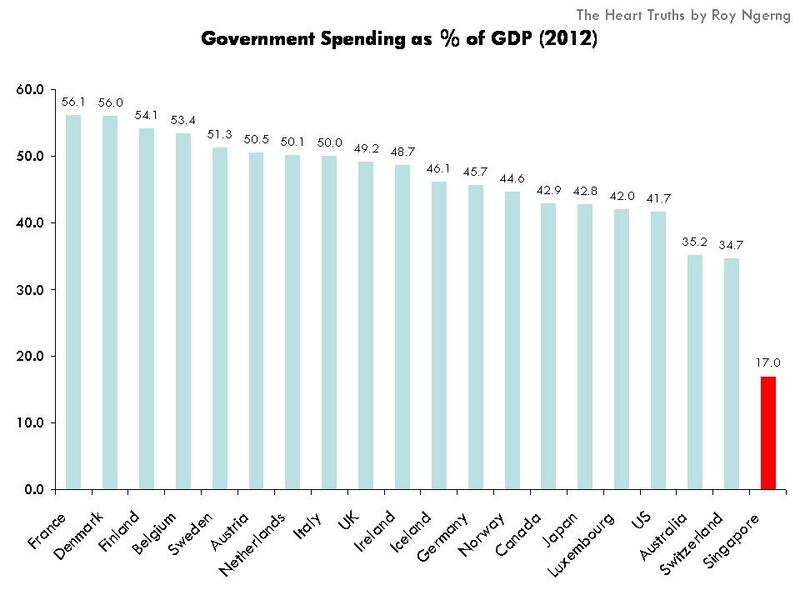 Chart 20: The Heart Truths The PAP’s Policies Give Singaporeans Heart Attacks? 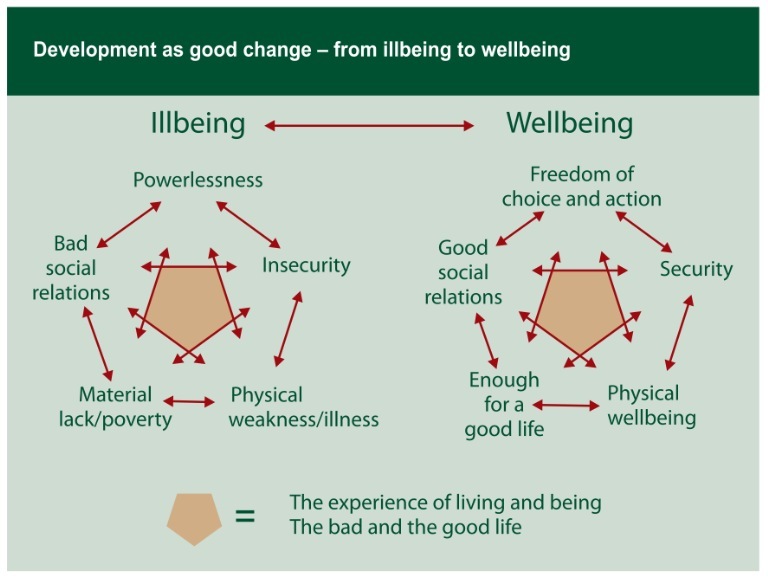 The UNDP explained that it is possible to shift “from illbeing to wellbeing with equity” by giving individuals “enough for a good life”, so that down the road, they would feel secure and have the “freedom of choice and action” (Chart 19). Any guess why an environment of insecurity and powerlessness is favoured by the government in Singapore? Between keeping yourself in power and allowing the people to feel more secure and free about their lives, what do you think the PAP has chosen? 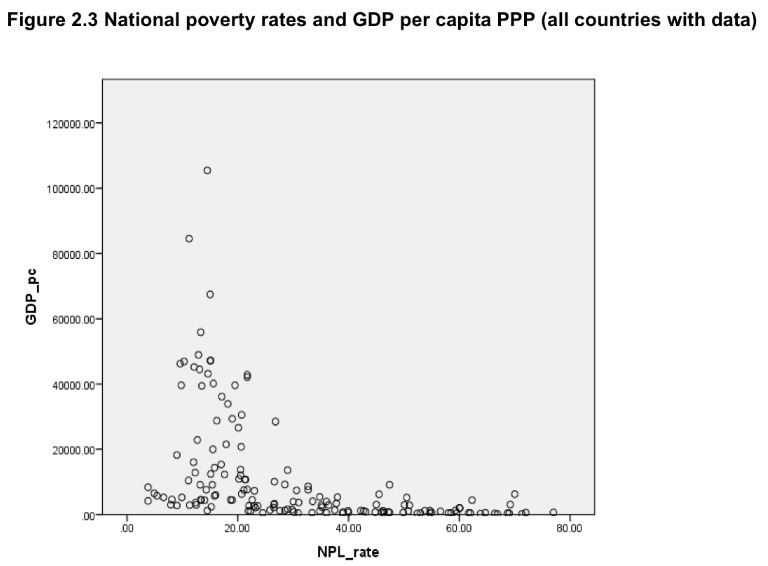 It has also been shown that the higher the GDP per capita of a country, the lower the poverty line would be as well (Chart 21). Chart 21: What Do National Poverty Lines Tell Us About Global Poverty? Yet, why is it that Singapore bucks the trend, when we have the highest, if not one of the highest, GDP per capita in the world? 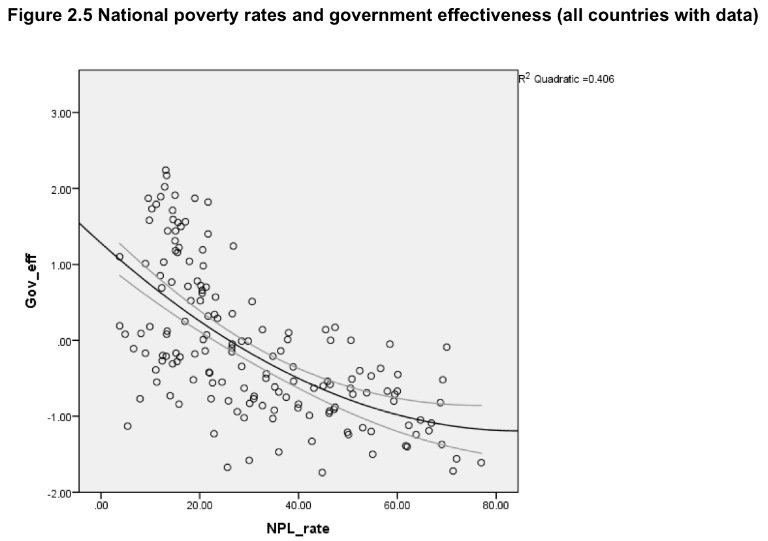 It has also been shown that if a government is more effective, the poverty rate will be lower (Chart 22). Chart 22: What Do National Poverty Lines Tell Us About Global Poverty? 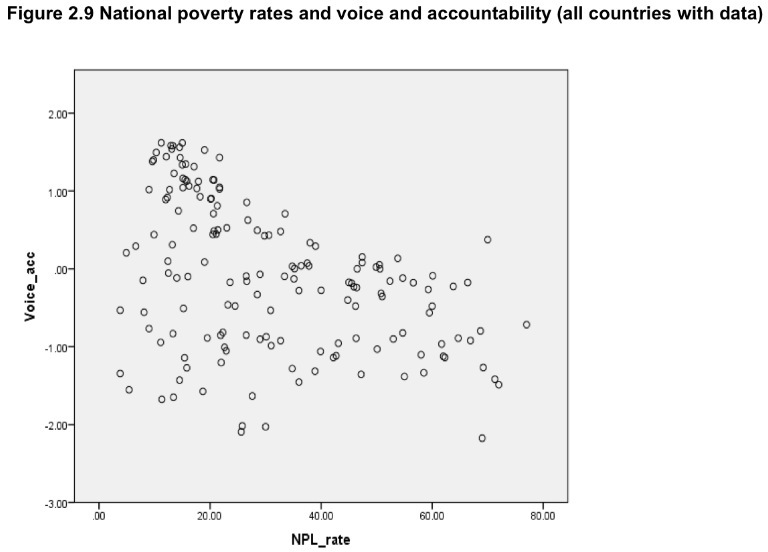 Also, if a government is more accountable, the poverty rate will be lower as well (Chart 23). Chart 23: What Do National Poverty Lines Tell Us About Global Poverty? Can we then assume that the reason why Singapore has such a high poverty rate, even though it has such a high GDP per capita, is because the government is both ineffective and lacks accountability? It is very clear that there is an urgent need for the Singapore government to define the poverty line, so as to prevent more Singaporeans from falling into the poverty trap and be stuck in chronic depravity. 26% earning less than what is needed to adequately survive in Singapore – S$1,500 – is no laughing matter, and is a severe case of the exploitation of the Singaporean labour force by the government. Such a practice would have no place in any of the other developed countries but has been tolerated in Singapore because of a lack of awareness of the state of poverty in Singapore and in a population who have become disempowered, ironically, also because of the poverty that has wrought on their lives. Indeed, the refusal to acknowledge a poverty line is also further exacerbated by the lack of a mandated minimum wage in Singapore. Whereas 90% of the countries in the world have already instituted minimum wage, Singapore is one of the very few countries which have chosen not to do so. A suitable minimum wage in Singapore had been suggested by Associate Professor Hui Weng Tat, of the Lee Kuan Yew School of Public Policy to be pegged “at half the median income, which was S$3,000 a month last year, exclud­ing employers’ Central Provident Fund contribution“, which is similar to the S$1,500 poverty line as described by several authors quoted in this article. 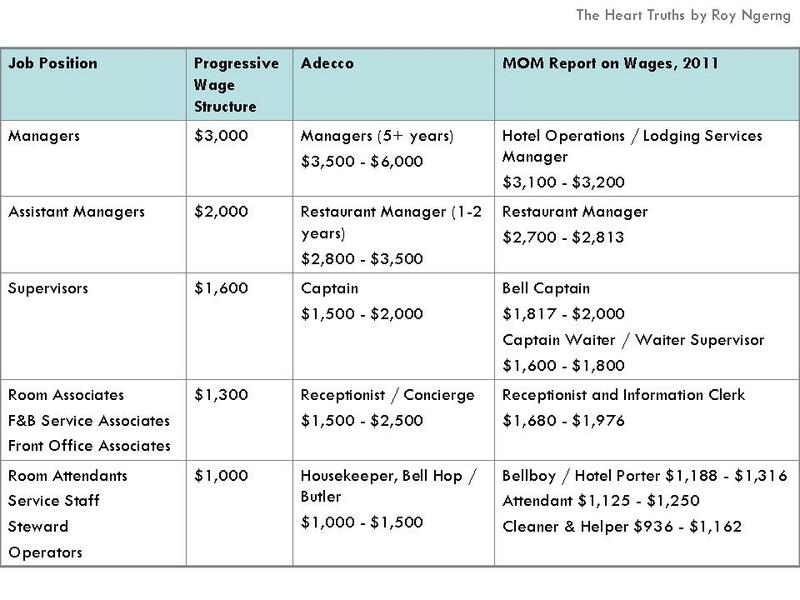 In fact, in a previous article on The Heart Truths, when asked whether minimum wage should be instituted in Singapore, an overwhelming 91% of the 1,372 (at the time of writing) agreed that there should be a minimum wage in Singapore. Also, nearly 60% of the 1,977 respondents thought that the minimum wage should be set at between S$10 to S$15 an hour, which would work out to about S$1,500 to S$2,500 for a month. However, the government had continuously denied the necessity of a minimum wage. In its place, the government has championed the Progressive Wage Model, which they describe as a progressive wage ladder. However, as explained, this model is nothing more than a promotion pay scale, which any company in the world already has in place for their own internal pay increment (Chart 24). You can see that what the model proposes is already what companies pay to the workers at each level of position anyway. The model would not aid in increasing the workers’ pay at all, if they remain in the same position. Indeed, since 2000, the wages of Singaporeans have remained depressed, and for the lowest-income group, they have also seen their real incomes decline, while that of the richest 10% have sky-rocketed (Chart 25). The lack of initiative by the PAP government to resolve the issue of chronically depressed wages and in implementing policies to mediate the state of poverty in Singapore shows a severe lack of judgment among the current pool of ministers, used to a high salary that has perhaps caused them to lose focus of what is on the ground. A situation where they believe that they would need to pay themselves well in order to remain “non-corrupt” seems to be rooted in the perverse notion that their high pay would result in a care and concern for Singaporeans, to help improve our livelihoods. However, a 26% poverty rate is hardly prove of a compassionate government. Rather, the lopsided pay structure seems to suggest that we are paying too much into the politicians’ pockets, at the expanse of the citizens’ own financial bedrock. A government that lacks the decency to acknowledge the inherent problem that underlies the growing social divide in Singapore is beginning to show signs of ineffective governance, too bogged down perhaps by the political artifacts that they have created, which ironically, would soon-to-become artifacts or a truer nature. I think there is a labeling mistake in the chart 12. Thanks for pointing it out. The chart has been replaced! 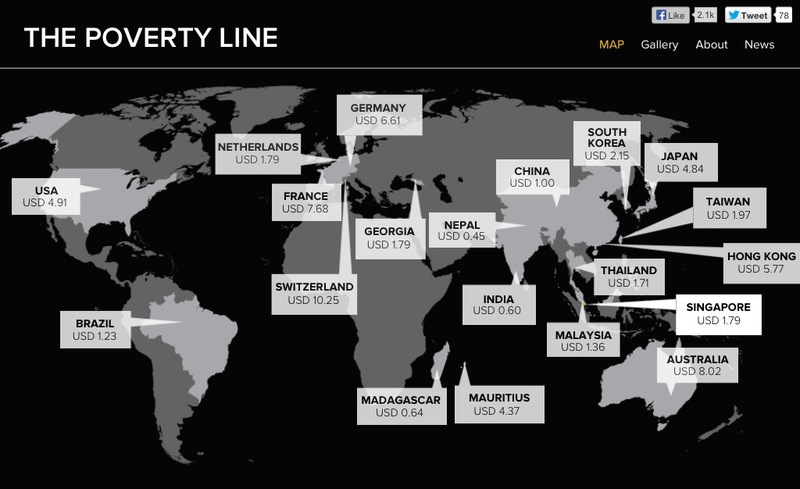 The official international definition of poverty line is at $1.25 at 2005 ppp. When you say that 26% of Singaporeans live below poverty line, and then base your comparisons Singapore with other countries, you are essentially saying that 26% of Singaporeans earn less than $1.25 daily? I think what you meant is 26% of Singaporeans earn less than $1500, period. While that may be ‘poor’ in the Singapore context, let’s not confuse it with real poverty in the international context, which is much more than worrying about paying hdb rentals. There is absolute poverty line and there is relative poverty line. Absolute poverty line refers to anyone in the world earning less than US$2 per day. This doesn’t make sense in Singapore’s context. Someone living on less than US$2 per day is living in severe poverty in Singapore. Relative poverty line is what many countries look at, and in fact what Hong Kong has used. We then look at how many people living in the country cannot afford to have a basic standard of living, based on the cost of living in that country. The definition for this is half of the median income. 26% of Singaporeans thus do not have adequate to live on in Singapore. 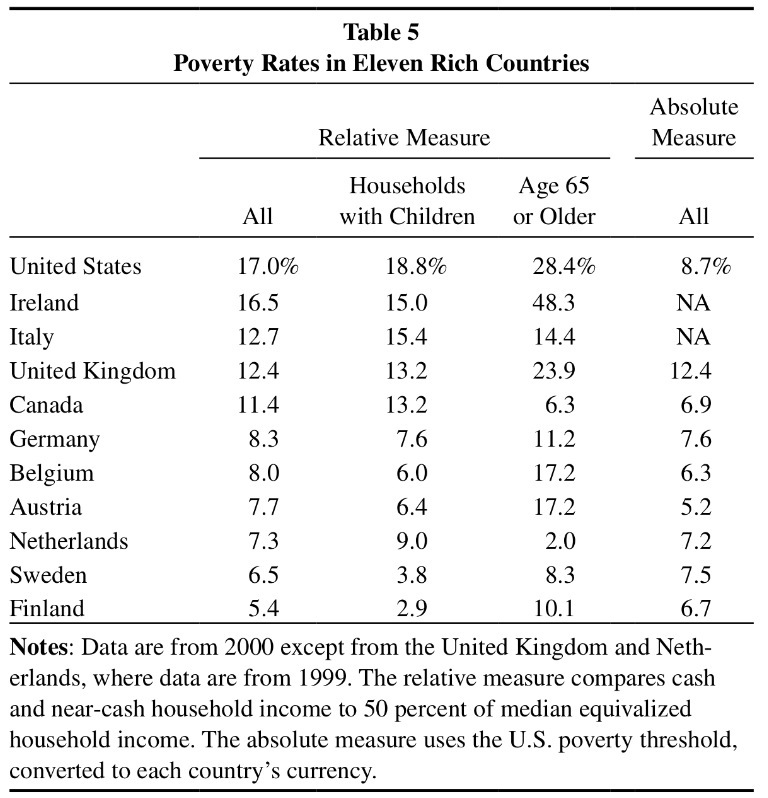 Relative poverty definitely sounds more useful in our context. In this case, chart 7 would not provide a good comparison? I still have lingering doubts about the use of relative poverty. If the median income is low to start off with, then relative poverty could be higher than the current definition. Likewise, if median income is high, the reverse could be true. A better, but obviously harder, indicator would be to draw the line at whether a person can afford to have a basic standard of living, which is up for anyone’s interpretation. How much do you think a person needs to earn to have a basic standard of living? Roy, this is really a tricky question to answer. A famous quote comes to mind when I think of it… “Do you want three meals in a hawker centre, food court or restaurant?” What do we think a fellow human being should be entitled to if he/she calls Singapore home? Let me just venture a guess and say $1k-$1.2k monthly excluding Employer CPF contribution for basic day to day living expenses of an individual. If so, by your definition, about 20% of Singaporeans are living in poverty, which is still higher than the other high-income countries, and even compared to middle-income countries in this region. Well, the 20th percentile for monthly income from work including employer CPF contribution last year was $1740. Anyway its just my interpretation: “living in poverty” conjures an image of slums, poor access to sanitation, water, health services. Yes we have poor, but to say that they are living in poverty is too strong in my opinion. To me, poverty is not just about the meagre amount earned from work. Please include the link of your source here so that the readers here can discern the statistics that you are laying out. Actually, why should we care about what other countries do? Let’s set our own standard and how we want to define the poverty line. I think your 26% and Alex Au’s 25% is about right. So, let this be the poverty line and we use this a gauge to measure PAP’s performance. Don’t care what the government say. Since Chan Chun Seng is not interested in solving the problem, we do it our own. I hope people like you, Alex and Leong will meet up and hold a quarterly NGO conference to gauge PAP’s performance based on these indicators. Then we know whether PAP is going leading us downhill or not. Then people can decide and vote objectively. Maybe also do a report on each minister. Don’t wait for LHL to do it. He is absolutely useless as PM. We gauge them and we vote based on their performance. I think the failrail.sg is doing a good job. Can we have a failminister.sg app? 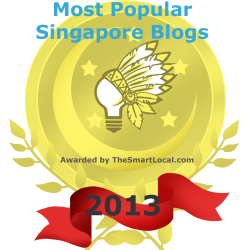 November 2, 2013 - 4:58 pm Vote for the future of Singapore please! The recent years saw a huge spike in basic costs increased both created by the government and also due to worldwide inflation. Take for example a decent plate of chicken rice which used to costs $2 per plate for many years consistently now costs at least $3-4 and the drinks which we drink at kopitiam is now $1.50 compared to $1-$1.2 for a long time. So take a poor person basic spendings per month : Food = 3 x $5 per meal x 30 = $450. And bear in mind he doesn’t have any savings so he doesn’t have money to upgrade himself like reading or taking up a course. Any family or any person earning less than the amount I stated, is in poverty. I think overall costs have increased 50% ever since Lee Hsien Long upped the GST to 7% in 2007 and later open the floodgates to foreigners to come here take our jobs and spiked up the costs. Rents, property prices, COE all have shoot to the roof ever since. But has the typical Singaporean salary increased by 50% from 2007 till now? 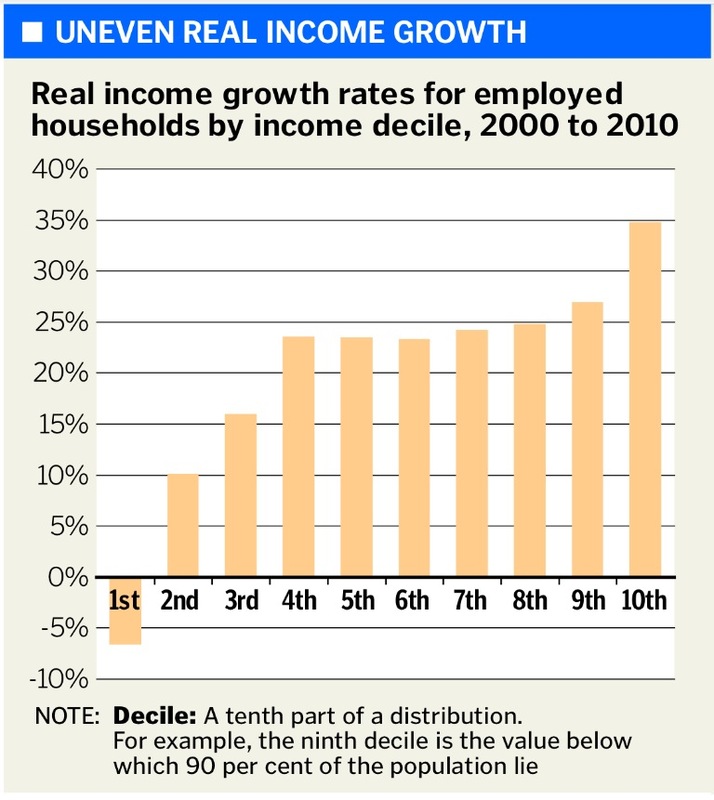 Fat hope, but there are some in the elite group have seen their income double or tripled these years. November 2, 2013 - 5:12 pm Vote for the future of Singapore please! By the way, in the recent Lee Hsien Long NDP rally speech he said “A family earning $1,000 can afford a 2-room flat. Those who earn $2,000 can buy 3-room flat. And those who earn S$4,000 can afford a 4-room flat if they use their CPF to pay off 25-year loan”, does he understand the economic situation of the poor and also the typical Singaporean situation? The family that is earning $ 1,000 per month can’t even survive, don’t even think about owning a HDB flat. Well he is born with a silver spoon, I don’t know how he get his statistics on people livelihood situation, but obviously he is up in the air building castle. 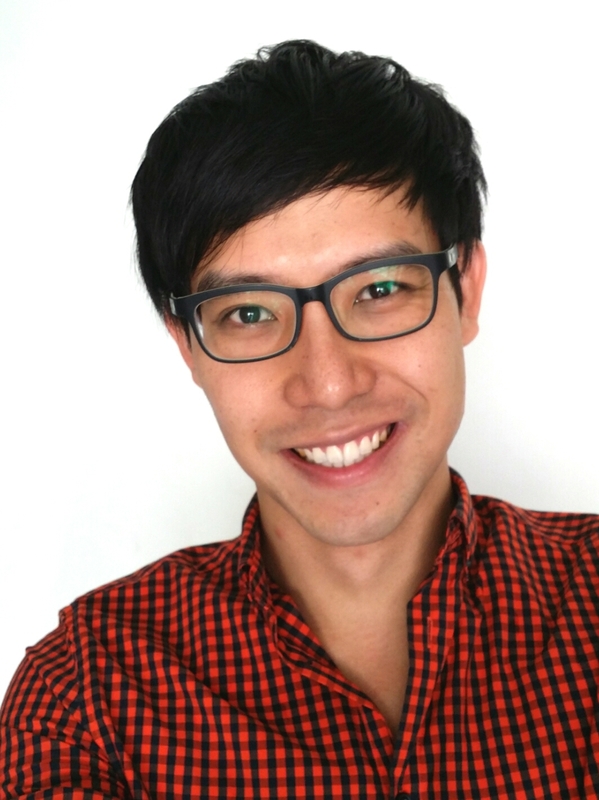 A very interesting article by Roy Ngerng on poverty in Singapore, well worth a read! Household income is usually the focus rather than individual income. And they would live in a cheap area; not an average area. In Singapore that would be one not ruled by gangs even if it is low income, nor vandalized by so-called youth.